Former Tamil Nadu chief minister J Jayalalithaa and three of her associates were acquitted in the Disproportionate Assets case by a single judge of the Karnataka High Court on Monday morning. The Trial Court had convicted and sentenced Jayalalithaa and her 3 associates to four years in prison besides imposing a Rs 100 crore fine, on September 27 last year. Justice C R Kumaraswamy on Monday allowed appeals filed by Jayalalithaa and others and reversed the conviction ordered by the trial court. The case has been dragging on for the past 18 years, going back to the year 1996 when friend-turned-foe Dr Subramanian Swamy filed a complaint against J Jayalalithaa, who was out of power at the time, alleging corruption and accumulation of assets disproportionate to her known sources of income. An FIR was then lodged against the former chief minister based on a police investigation pursuant to Swamy’s private complaint. Jayalalithaa was accused of acquiring at least Rs 66.65 crore in assets that could not be explained by her known income. Later the same year, a Chennai court added the names of her close aide Sasikala, foster son Sudhakaran and another aide Ilavarasi, to the case. Shortly after Jayalalithaa’s party, the AIADMK came back to power in 2002, the DMK moved the Supreme Court in early 2003 requesting the case be moved out of the state so that a fair trial could be had. The apex court agreed to the request and transferred the trial to a Special Court in Bangalore, with the damning observation that a ‘fair trial was not going on’ in the Chennai courts. B V Acharya was appointed named Special Public Prosecutor. The case dragged on in the court through 2011, when Jayalalithaa was again elected CM after spending five-years out of power. In 2012, G Bhavani Singh replaced Acharya as Special Public Prosecutor, but was removed after Anbhazhagan, who had filed the original request for a special court, questioned the appointment. Shortly after, the special court judge Balakrishna retired, and John Michael Cunha took his place. The trial finally concluded on August 28, 2014, an agonising 18 years after the complaint was first filed. On September 27, 2014, the special court found Jayalalithaa guilty of corruption under the Prevention of Corruption Act and sentenced her to four years in jail and a Rs 100 crore fine. This resulted in Jayalalithaa going into custody for 3 weeks and also her resignation as CM immediately under the new Supreme Court guidelines for elected officials. The news of Jayalalithaa’s acquittal was greeted by cheers from several lawyers affiliated to Jayalalithaa’s party, the AIADMK, who had thronged the court to hear the verdict. Meanwhile reacting to the verdict, Jayalalithaa said “It has confirmed that I have done no wrong, case foisted by political enemies,” and that she didn’t consider it as a personal victory. “I don’t consider it as a personal victory, justice has been established, dharma has won”, said Jayalalithaa. The acquittal order comes as a big boost for the AIADMK leader who is expected to return back as CM and consolidate her strong position in Tamil Nadu. 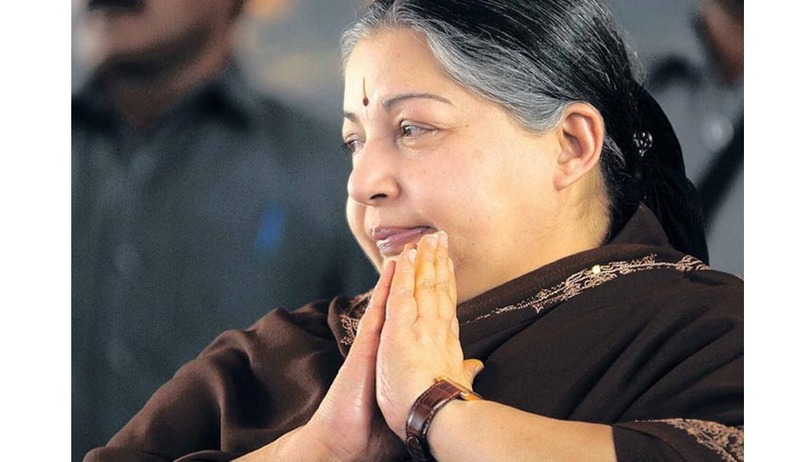 Read more news about Jayalalithaa's DA Case here.